Rogue River, OR (January 2015) Wagner Meters’ concrete flooring division is introducing the new Rapid RH® 5.0 Smart Sensor, a reusable relative humidity (RH) sensor for testing moisture in concrete with a revolutionary, new approach to calibration checks. 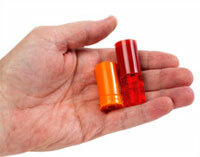 The sensor’s unique design eliminates the major disadvantages of conventional reusable RH sensors: initial cost and tedious, time-consuming calibration checks. Every Rapid RH® 5.0 Smart Sensor features its own EasyCare CalCheck, a patent-pending consistent RH generator that functions as a protective base. This eliminates the need for bulky and expensive calibration check chambers. This unique feature stores the sensor in an optimal environment, where it is always equilibrated and always ready for an instant calibration check. As a result, calibration checks required for ASTM F2170 compliance take seconds, rather than hours. 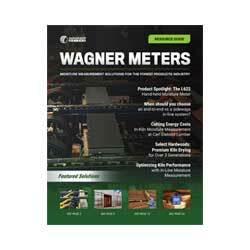 To facilitate fast and easy ASTM F2170 compliance, Wagner Meters also created the Bluetooth® Smart Reader. About the size of a USB thumb drive, this reader transmits sensor data to CalMaster, a free mobile app, which tracks calibration compliance data for each sensor. With premium features and extremely affordable pricing, the Rapid RH® 5.0 Smart Sensor will immediately save time and money. Now contractors can afford a larger inventory of reusable sensors, removing the temptation to “leapfrog” a small number of sensors across a large test site. For more information about Wagner Meters’ complete line of accurate and affordable concrete moisture measurement tools, call 541.582.0541 or visit www.rapidrh.com.